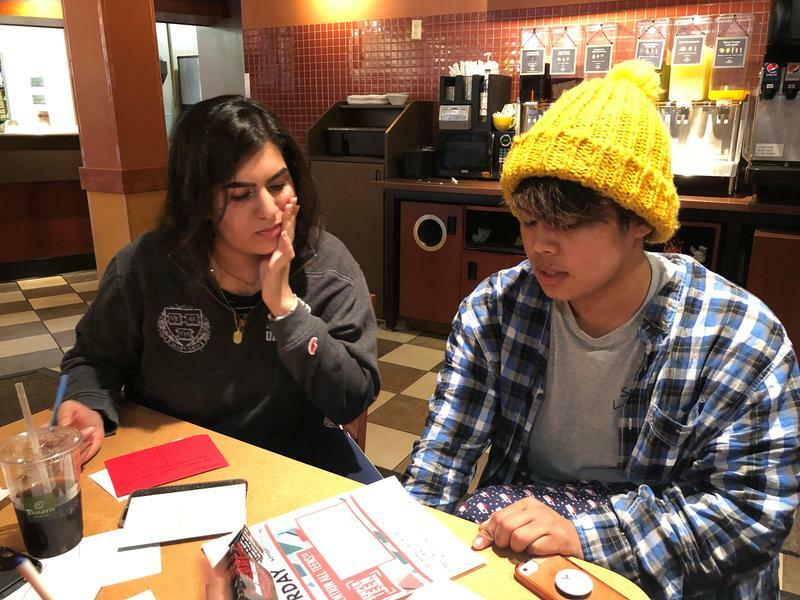 Notre Dame de Sion junior Safa Khan, left, and Shawnee Mission East senior Arch Calibo write postcards to lawmakers at a Kansas Mainstream Coalition event. Calibo says it shouldn't be easy to get weapons that can kill 17 people in a matter of minutes. Columbine. Virginia Tech. Sandy Hook. And now Parkland. Somehow, this school shooting feels different than all the others. Emily Lang, a sophomore at Shawnee Mission South, agrees. She says the kids who survived the Sandy Hook massacre were too young to stand up for themselves, but Twitter has given the teens in Parkland a voice. Lang says before the shooting at Marjory Stoneman Douglas High School, it didn’t occur to her that she could take a stand. Emily Lang, left, and Taylor Burns are sophomores at Shawnee Mission South. Lang doesn't feel like students at her school would know what to do if an active shooter entered the building. John Douglass disagrees. As director of emergency services for the Shawnee Mission School District, it’s his job to keep students safe. To get to Douglass’ office in the administrative center, you have to pass through two sets of doors. New schools are pretty much all built like this. The interior doors remain locked during the school day. To get through them, you have to stop into the security office for a visitor’s badge. Douglass refers to this as a “pinch point.” A few years ago, Shawnee Mission spent $20 million retrofitting the entrances of older schools so they’d be just as secure. The goal, of course, is to keep intruders out. But very occasionally – Douglass points out that it doesn’t happen all that often – a gunman gains access to a school. That’s where active shooter training comes in. “If you can run or get away, get away. If you can’t run, then hide and barricade yourself in. If the intruder is right there with you, you may have to fight with them,” Douglass says. Missouri requires at least one code red drill a year, but Kansas does not. Douglass’ office recommends every school conduct a code red drill monthly. The dates and times of drills aren’t disclosed for safety reasons, and each building keeps track of their own drills. During drills, teachers are expected to keep teaching. They don’t hide students in closets or tell them to get under desks like they would if the threat were real. Shawnee Mission East, which held a forum this week where students could ask questions about school security, has had a code red drill every month. But Lang and other students at Shawnee Mission South swore up and down they haven’t had any active shooter training. Tornado and fire drills, yes. Code red drills, no. It also bothers Lang that the doors in her school don’t lock from the inside. Teachers have to step into the hall to secure their classrooms. “If a gunman comes in the main entrance, there are teachers locking their doors right there, from the outside,” Lang says. Privately, teachers acknowledge this makes them nervous, too. After a gunman killed 58 people and injured hundreds of others at a Las Vegas music festival last fall, Politico published an analysis suggesting mass shootings aren’t happening any more frequently than they did in the 1980s and ’90s, though they do seem to be getting deadlier. It took the Parkland shooter just three minutes to kill 14 students, a social studies teacher, a football coach and the school’s athletic director. It’s the randomness of it that's so frightening, students say. It doesn’t matter how safe millions of other kids are at school if a gunman opens fire in your classroom. 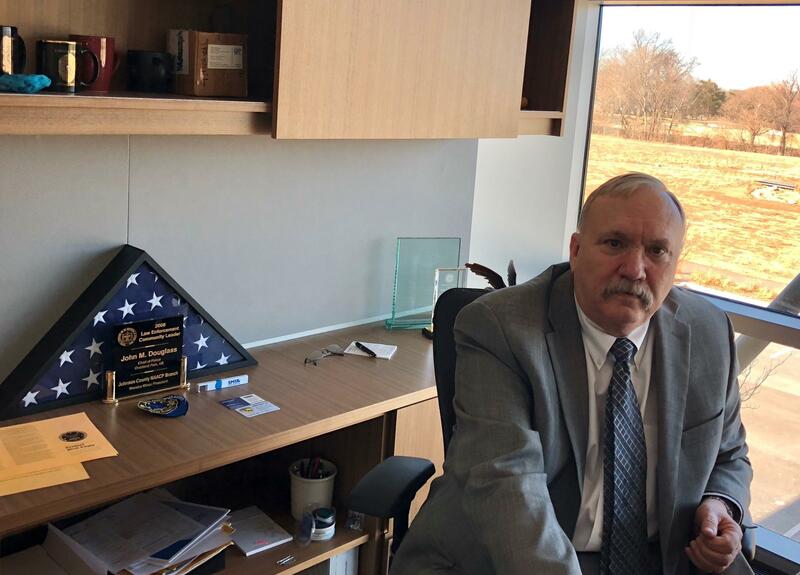 John Douglass was the police chief in Overland Park, Kansas, when a gunman killed three people in parking lots at the Jewish Community Center and Village Shalom in April 2014. He's now in charge of emergency preparedness for the Shawnee Mission School District. And Douglass knows all too well it can happen anywhere. 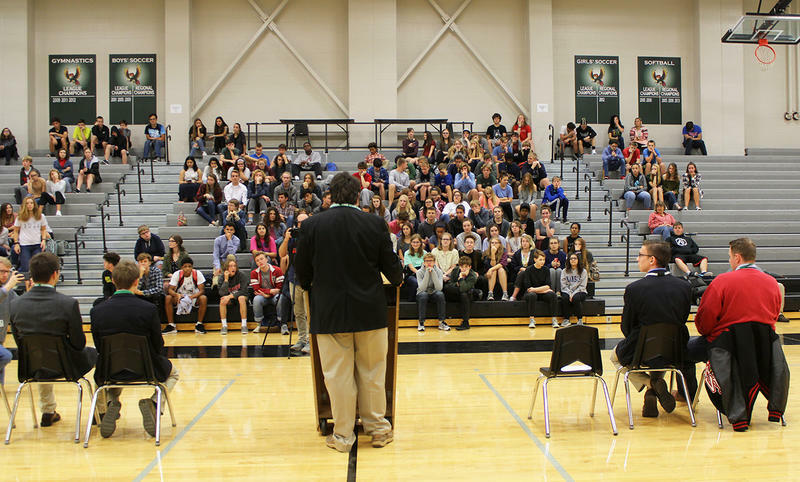 Douglass has spent the two weeks since the Parkland shooting reassuring parents and students that Shawnee Mission schools are safe. Districts across the metro remain on high alert. On Tuesday, Kansas City Public Schools had to put Northeast High School on “no entry status” while police investigated a social media threat. It turned out to have originated in another state. On Wednesday, Blue Valley High School spent Wednesday morning on lockdown after a group of students found part of a rifle scope in a locker room. Blue Valley Director of Safety and Security Dan Carney says one of the students fortunately recognized it for what it was and took it directly to a school resource officer. “When the officers saw it, they became concerned, too. Because anytime you find an accessory that potentially goes along with a firearm, that’s concerning in a school,” Carney says. 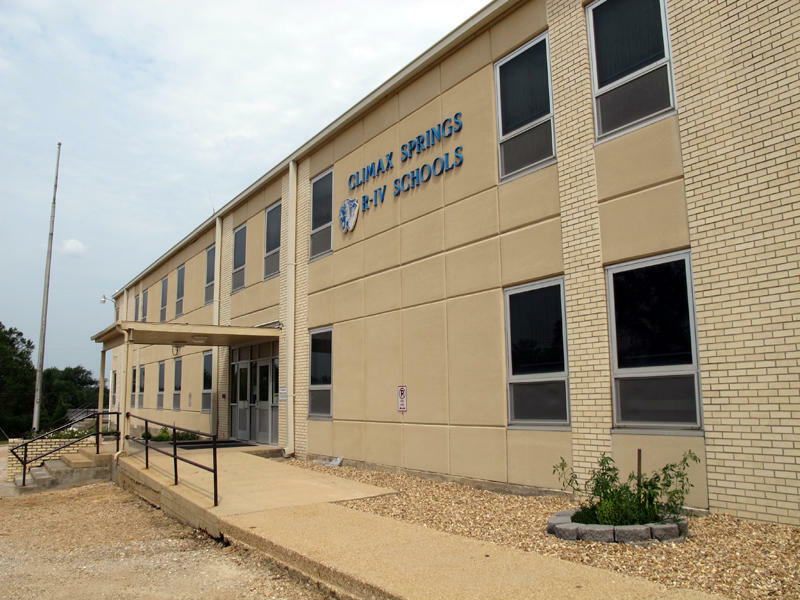 The school entered what the district calls a “lock and teach”: classroom doors were to remain locked, but instruction continued as officers performed a methodical search of lockers and cars. They interviewed students who’d been in the gym one by one until a teen told them the accessory was probably his. He’d been shooting an airsoft rifle on his family’s farm recently and thought some of the pieces ended up in his backpack. The search was called off after the student described the rifle part in detail. His parents also corroborated his story. Carney says the lockdown ended up being a good test of the district’s security protocols. “I didn’t say this to the administrator before I left, but in my mind, I was thinking, ‘That’s a good lockdown drill.’ It put us through the paces of having to sort out and strategize. You don’t ask for that situation, you don’t want it, but it is helpful,” Carney says. One policy that has been proposed in the wake of Parkland and an earlier school shooting in Kentucky is arming teachers. Shawnee Mission North junior Tyler Ruzich says that wouldn’t make him feel any safer. 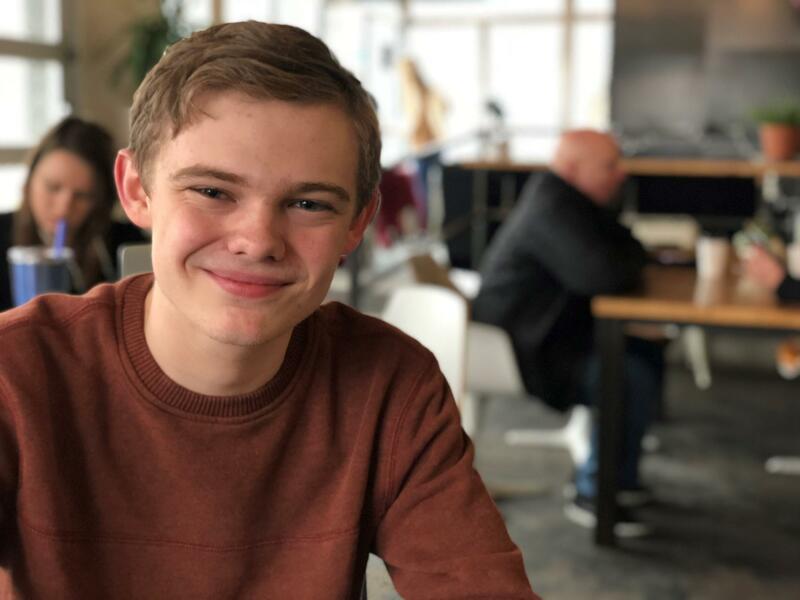 Tyler Ruzich, 17, is running for governor as a Republican. The Kansas teen says he's been shut out of debates and other events because of his age. He's in favor of what he calls 'common sense' gun control. If Ruzich, a debater, sounds a little like a politician, it’s because he’s running for governor. In fact, six teens have declared their candidacy for Kansas’ top job in the last several months. For Ruzich, that is evidence that this groundswell of teen activism didn’t start with Parkland. After all, he’s been agitating for gun control for months. Ruzich is actually more conservative than his parents, whom he says voted for Bernie Sanders. Absolutely, he says, private citizens should be able to own guns to protect their homes and families. But he also supports restrictions on who can buy guns and where they can carry them. Ruzich doesn’t think firearms belong on college campuses, for instance. There are plenty of people who would call Ruzich's run for governor a stunt. But he’s clearly been paying attention to what’s going on in Kansas. “There are not many teens I can have an in-depth conversation about drip and spray irrigation and how that can contribute to conserving and preserving the Ogallala aquifer, but there are still many teens who really find an issue they’re passionate about,” Ruzich says. 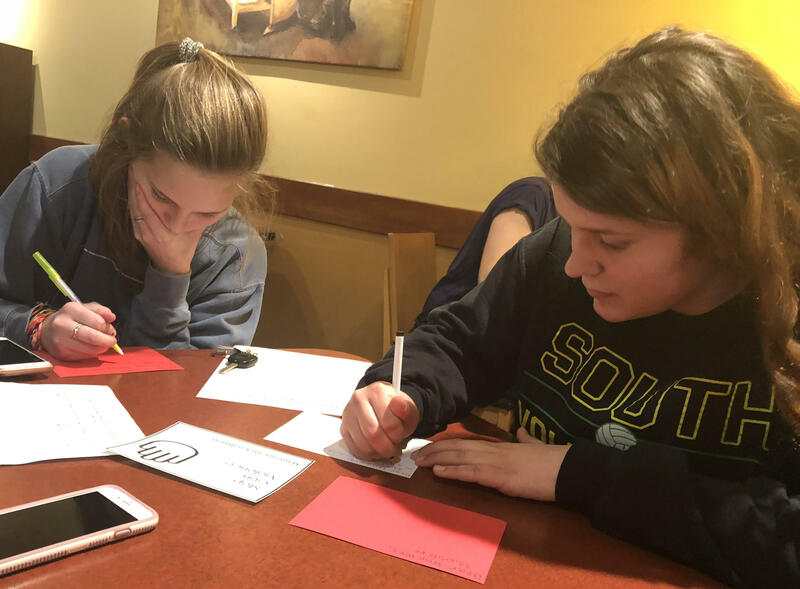 For a dozen or so frustrated teens who met up last weekend at a Kansas Mainstream Coalition event, that issue is gun control. The teens wrote their representatives asking them to do more to protect students while they’re at school. Nina Baran, a freshman at Hyman Brand Hebrew Academy, says most of her classmates support gun control. The school is on the campus of the Jewish Community Center, where a gunman killed two people on their way to an audition for a theater production. 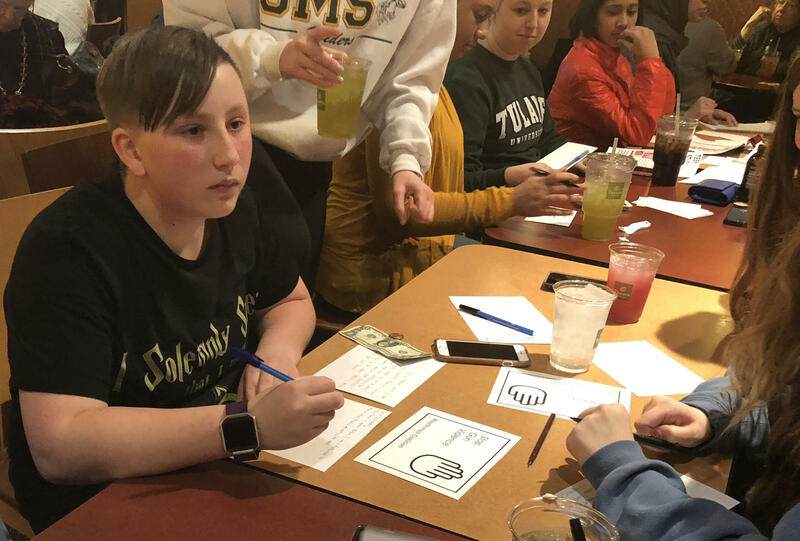 “Sadly, there has been a shooting at the building where I go to school, and there are students in my class who were there that experienced it,” Nina Baran, a freshman at Hyman Brand Hebrew Academy in Overland Park. Baran says she feels pretty safe at school – armed security guards patrol the campus, and the students participate in active shooter drills. Those drills are empowering, Baran says, because they’re taught that they’re in charge of what happens. Shawnee Mission South sophomore Taylor Burns says if it were up to her, there would be no guns at all. “Obviously, that would be really hard to achieve,” she says. For now, she’ll settle for background checks. Burns doesn’t think her generation is going to stop talking about gun control anytime soon. “This one feels way different than like in Sutherland Springs or Las Vegas. The talk went down after two days, but if anything, I’m more into it than I was a week ago,” Burns says. A Mainstream Coalition volunteer reminds the teens they can register to vote in November if they’ll turn 18 before election day. Burns isn’t old enough, but she is planning to participate in a couple of school walkouts in the coming weeks. The big one is April 20, the 19th anniversary of Columbine. Like the young activists in Parkland, Burns was born after the 1999 massacre in Littleton, Colorado. As far back as she can remember, we’ve been talking about school shootings. As the school year begins we're hearing a lot about accreditation, Common Core and teacher tenure. All important, but the issue that may worry educators the most is security. School officials spend a lot of time thinking about it and a huge amount of money trying to improve it. Right now, about a third of all states allow teachers or staff with a conceal and carry permit to pack a gun in school as long as they have permission from the school board. Nowhere in America right now is the issue of armed teachers more complicated than in Missouri.